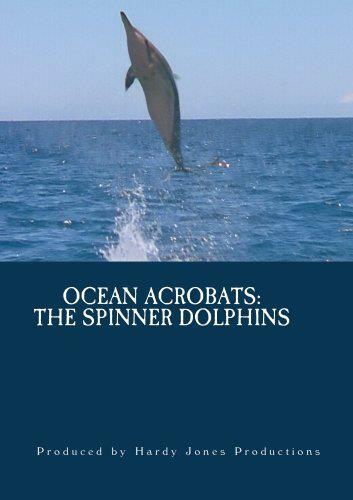 Spinner Dolphins are the most athletic of all the dolphins. In this outstanding documentary film from award winning producer Hardy Jones we join spinner dolphins in Hawaii and Tahiti as they play, socialize, feed and face the danger of ocean predators. We learn the meanings of the various forms of spins and how leadership works within the envelope of the spinner pod. On the Tahitian Island of Moorea we wait breathlessly as a school of spinners is trapped in the lagoon by huge waves and then follow their joyous return to the open ocean. We see mating humpback whales being buzzed by a school of hyper excited pilot whales. Off Rangiroa atoll we meet a baby spinner who has been adopted by a school of bottlenose dolphins. We follow the spinners through their day beginning with rest over a particular kind of sandy bottom and then glory in their waking and the building of their energy through a series of mass breaches and spins before they return to the sea to feed. In perhaps the most stunning scene from the film we see spinner dolphins drilling in like football players before a game, perhaps a preparation for shark defense.